The advantages of a continuous flow ball burnishing are a high output and reduced costs. These results can be achieved following specific structural and movement requirements, which have been studied and researched by Vibrochimica’s technicians. The construction features of the work bowls, in particular the longer ones, and the number of vibrating units employed, always assure a uniform movement over the whole length of the bowl without resonance, thus guaranteeing high and constant production rates. 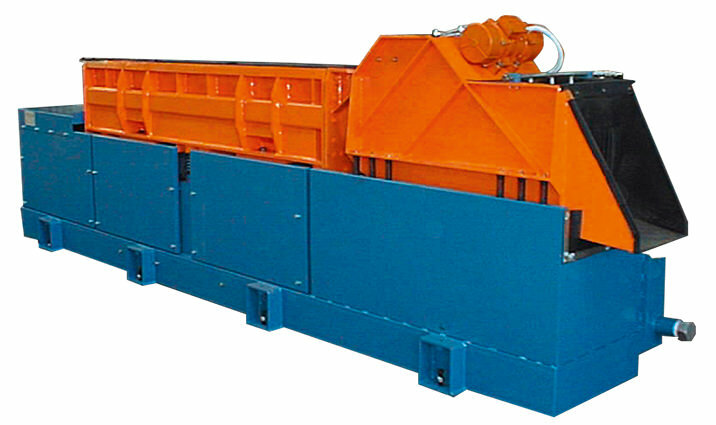 VBLA machines can be used for deburring, smoothing and polishing in continuous flow and guarantee an automatic separation and reload of the media of work. Continuous flow production lines with a well-defined production rate ( e.g. in transfer lines), require that the finishing process is strictly set and organized in order to comply with other processes which may follow.